Hi, friends! I’m Jenna Murillo, the founding owner behind J.Lynn Designery. 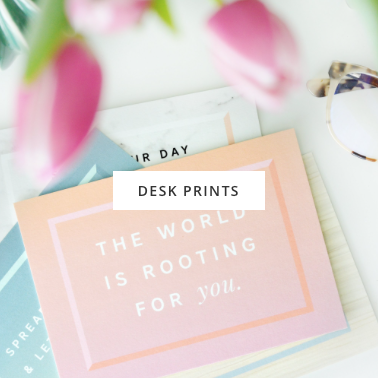 This little piece of internet is dedicated to helping you create a more inspiring and energizing workspace. 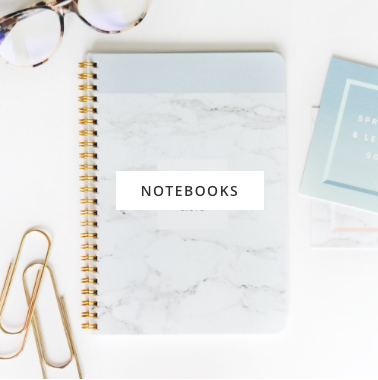 I currently offer a variety of functional and beautiful organizational tools to help infuse some joy into your workday! 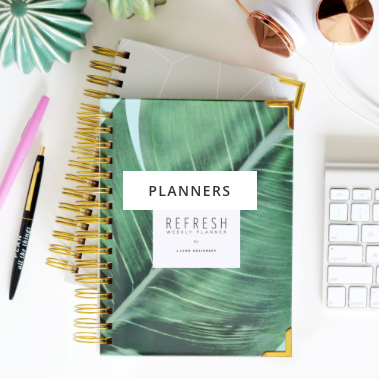 The Refresh Weekly Planner is the cornerstone of my collection, and the 2018 edition features some fun upgrades that help you focus on goal planning and gratitude. J.Lynn Designery was founded out of the desire to bring more joy to the workspace. I believe that when you feel inspired in your space, you do your best work. Our mission to help bridge functionality and beauty so you find that inspiration — whatever that looks like for you — and enjoy the time you spend in this space. The New Year is a notorious time for launching new goals and plans into action; but my biggest tip is to not wait. Start when it’s best for you! Start today, if you can. The important thing is to make a plan with actionable steps that will help you bridge the gap between where you are now and where you will be. At first glance, it may seem too large, almost impossible. But when you break down the steps, recognize your role and priorities in the path vs what you can outsource, etc, you’re building a practical plan for how you’re going to get from a to b. Also, a big part of accomplishing your goals is your own belief in them. Align your mindset with your goals through visualization and writing them down. The more time you spend in the belief that you WILL get there and visualizing what that end result looks like, the more you’ll naturally make steps forward for the greater good of what you’re trying to achieve. So many people get caught up in whether or not they accomplished something to its entirety; they get halfway there or even further, then view it as a failure in the end for not having fully seen their goal through to finality. This black and white approach is dangerous for future goal setting and your overall well-being. Instead of viewing a “not quite finished” goal as an ultimate failure, think of it this way instead: you made PROGRESS. Serious progress that wouldn’t have been accomplished at all otherwise. Find success in the journey, and celebrate the small milestones along the way. When you shift your perspective to recognize that you moved forward in SOME way, no matter how small, you’ll start to recognize the growth that is actually happening rather than just dismissing it due to a black and white mentality. Goal planning isn’t about completing each step to perfection; it’s about making progress, no matter how small or messy. C H E C K O U T T H E S H O P ! 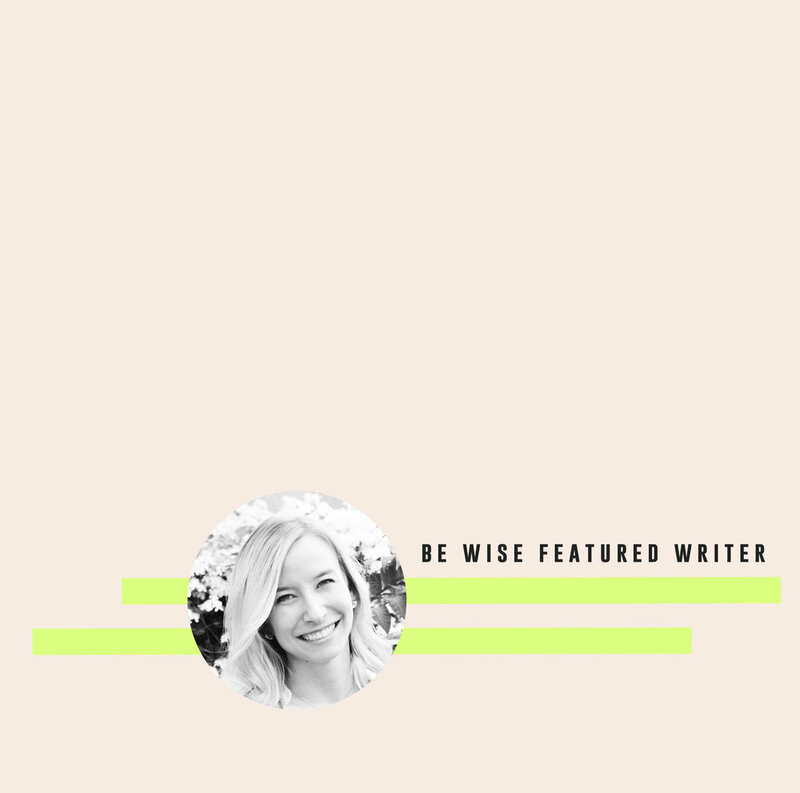 BIO || Jenna discovered a love of paper and organization at a very young age; merging the two together, along with her passion for inspiring others, J.Lynn Designery was born, a company dedicated to creating organizational tools that inspire progress over perfection, and clarity over chaos.